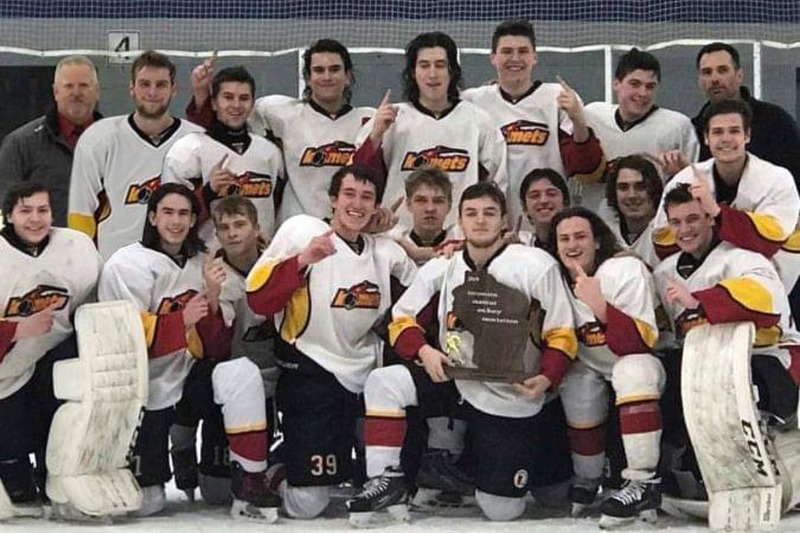 Fundraiser by Erika Keating : National Bound Kenosha Komets 18U Hockey! 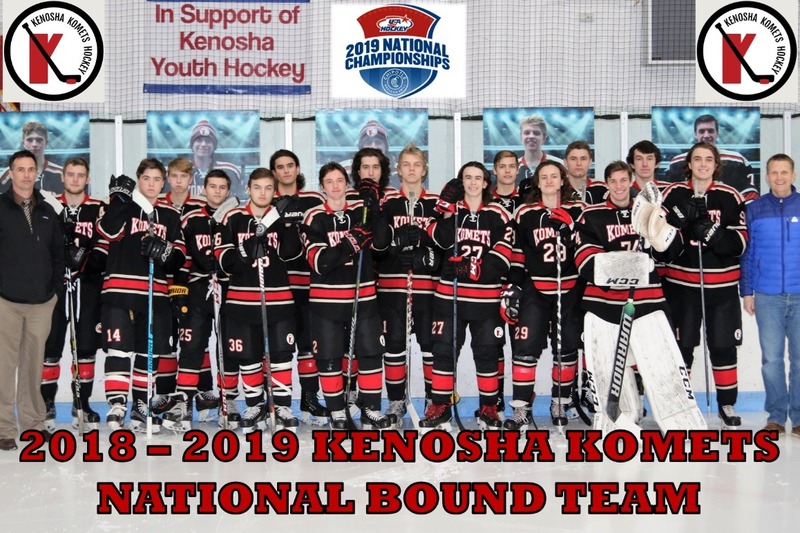 National Bound Kenosha Komets 18U Hockey! National bound for the 1st time ever! The Kenosha Komets 18U Hockey Team will be representing Wisconsin at the USA Hockey Tier II National Tournament. April 3 - 8, 2019 - San Jose, CA! Our team needs your help with travel expense including airfare, ground transportation, and lodging. The cost for this trip will be approximately $35,000 - $40,000. Your support will help ease the financial burden of this once in a lifetime experience. Please donate TODAY! For many of our players, this is their last year participating in youth hockey. A trip to Nationals is the crown jewel! What a tremendous accomplishment and a wonderful way to cap off their youth hockey careers.... Go Komets!! Greetings everyone from San Jose, California!!! We have a team pre-game meal lined up at The Old Spaghetti Factory at 12:30 pm local time! Our first game is schedule for 6:15 pm today (8:15 pm Central) against Team Ohio. All USA Hockey National Championship games can be seen on HockeyTV.com. It requires a subscription to watch. So THANKFUL for all your support! We are proud to be representing our community, our organization, and our team as we embark on this journey! Erika Keating here -- your GoFundMe Campaign Organizer and the Team Manager of the Kenosha Komets 18U Hockey Team! Time is flying by and we leave in 13 days for San Jose, California! Go KOMETS!! I want to once again thank everyone for the tremendous outpouring of support for this great group of young men! This will definitely be a once in a lifetime, very memorable experience. Your donations go a long way in relieving some of the financial stress of the trip. I wanted to let you know that I have begun the withdrawal process. I am moving the funds from our GoFundMe account into our team checking account which is in my name. DON'T WORRY -- if you meant to contribute but haven't done so yet, there is still time! The National Bound Kenosha Komets 18U Hockey page will remain open until we return from California. Donations can be made and withdrawals will continue on an automatic basis until we close the campaign. For full disclosure: Once deposited into our local checking account, we will use the money for the tournament fee ($1,500) and team travel expenses. Broken down on an individual player basis, the estimated cost of the trip is approximately $1,500 / player ($260 airfare, $140 luggage fees, $500 hotel fees, $500 meal allowance, and $100 local transportation expense). After collective team expenses have been paid, excess funds will be distributed to our families. This will serve to reimburse them for player expenses previously paid using personal funds. Only 20 short days until we leave for San Jose! A GREAT BIG SHOUT OUT to everyone actively sharing our page! In four days, we have reached 20% of our fundraising goal. THANK YOU!! We still have a long way to go.... With your help and continued support, we are on pace to hit the target!